Got to travel to Macau! 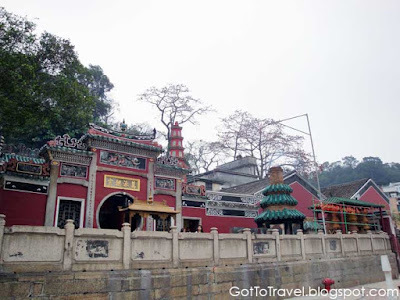 We were in Hong Kong for 5 days so we decided to visit Macau for a day. 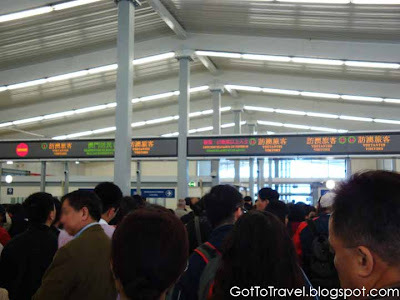 It's very cheap and convenient to travel from Hong Kong to Macau by a ferry boat. Others say that a day is already enough to explore Macau but at the end of my trip, I personally think that it isn't really enough. If you want to visit most of Macau's top tourist destinations, 2 to 3 days is more than enough. One of the places that you should visit and have a photo taken is Macau's Ruins of St. Paul. 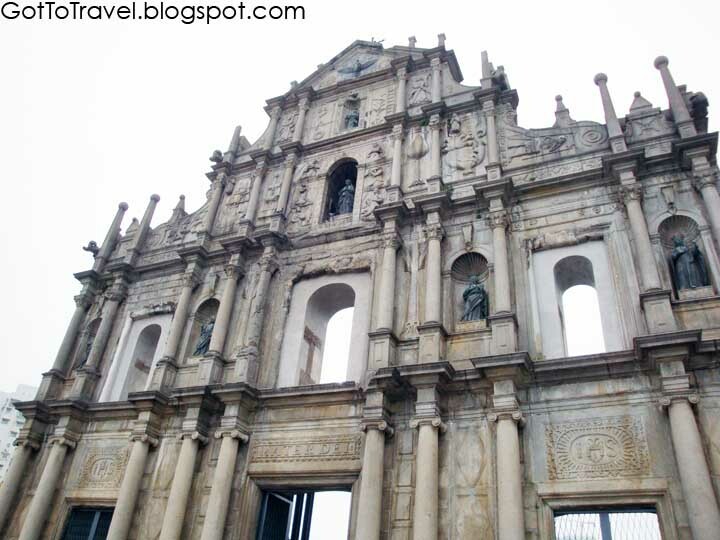 This church is one of the most iconic and well known places in Macau. Lots of tourists take a photo of this church, so I suggest that you should be here early. 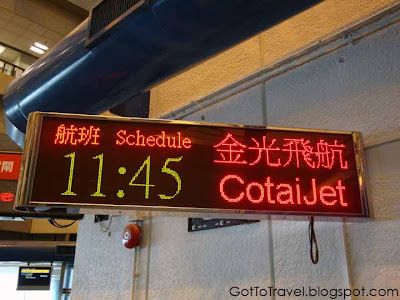 We went from Hong Kong to Macau via Ferry boat. It was very fast and convenient. There were many boat companies and we didn't know what to choose. 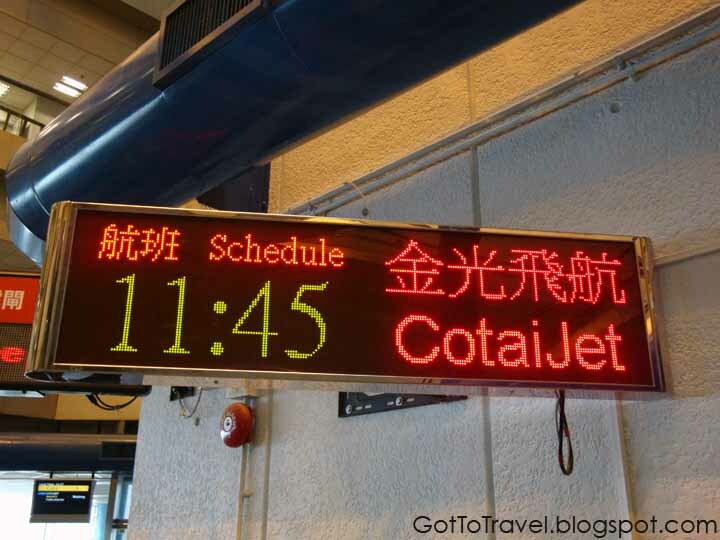 We chose to ride CotaiJet because it has the most number of counters in the terminal. I don't know if its the best but the ride was smooth and we were contented. By the way don't forget your passport, because even if Macau is now under China, they still require passports even if you came from Hong Kong. The immigration there is as strict as in Hong Kong. 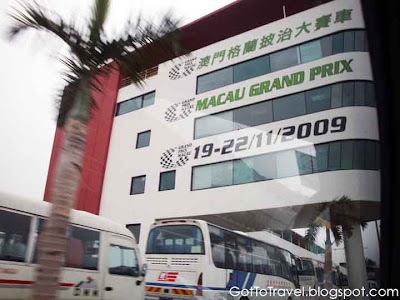 It was our first time in Macau and we weren't able to plan at all. Luckily while in the ferry terminal of Macau we talked to a Filipino who works at a hotel there and told us that he knows a private driver who can give us a tour of Macau with his van. Best part is that the driver is a Filipino. So we decided to hire him. And it was a good choice since we were in Macau for only a day. Having a private tour is fast and you can choose which area you want to visit. But you have to discipline yourself with time. Unlike in a group tour, no one will tell you to leave or not. So you have to be time conscious and be strict with yourself and who ever is with you. This way you can cover more grounds and make the most of your time there. 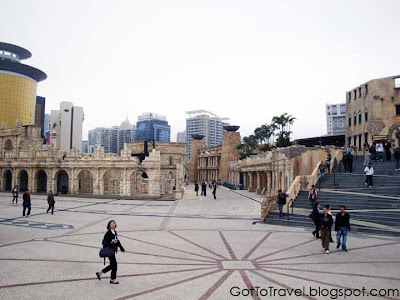 We asked the our kababayan driver what places should we visit considering we had only a day to tour Macau. He said to go to Fisherman's Wharf. So we did, but he did say to be quick because there were a lot more to see. The place was amazing with lots of theme buildings. There were European, Chinese, Roman and Middle East theme buildings. You wouldn't feel you are in Macau. More about my short trip to Fisherman's Wharf click here. The Macau Sky Tower is the most iconic building in Macau. We weren't able to go up and see a magnificent view of Macau because we were in a hurry, but you can do so by paying MOP80. A bit pricey but for the experience why not. 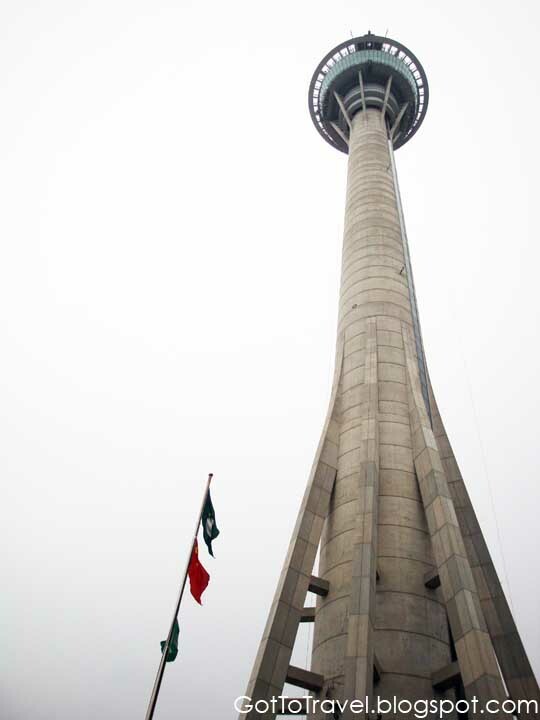 There are also attractions within the tower like the world's highest bungy jump, the skywalk and many more. 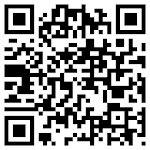 You can check out this website for more info about the attractions. On the way to our next destination, we passed by the Macau Grand Prix. Just a quick snapshot. 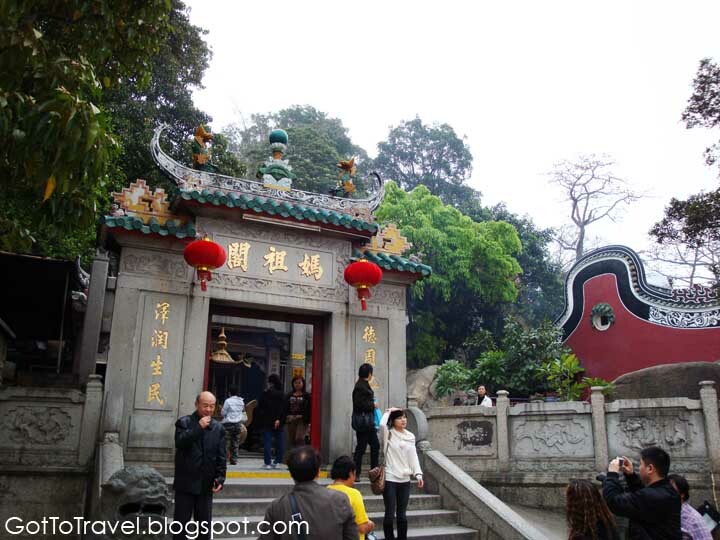 Then we went to some temples in Macau. I forgot what it was called, but the driver said it was one of the most visited temples. 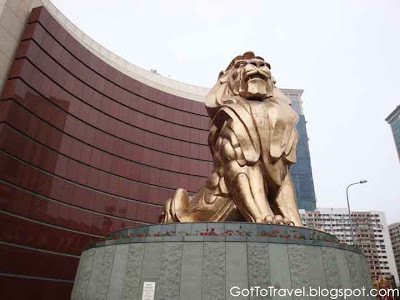 Macau is also known for its Vegas hotels. So we spent rest of day there visiting hotels. We hired the private car for only until 5 or 6PM so we had him drop us in MGM and from there we rode shuttle buses between each hotels. 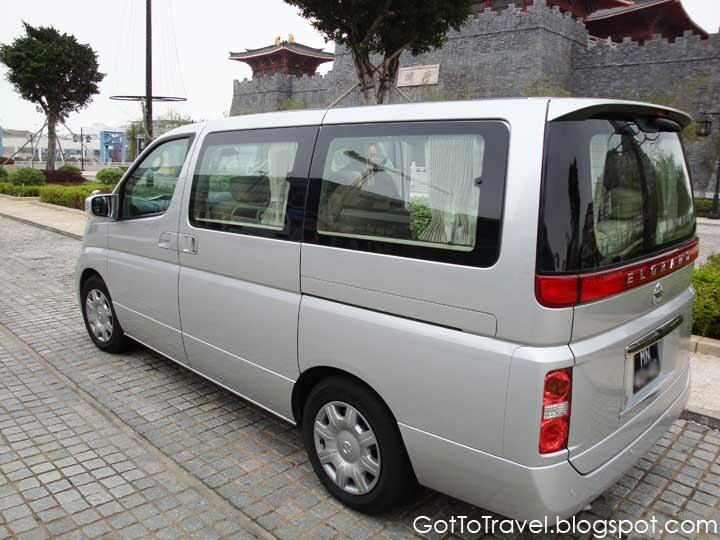 These shuttle buses between hotels are convenient and free. They have lots of well known hotels including MGM Grand, The Venetian, Sands, Hard Rock, Crown and the likes. Had so little time so was able to visit a few of them Check out some of the Last Vegas Hotels in Macau. One of the best hotels we went to was The Venetian Hotel and Resort. It was unique and beautiful inside and out. Tired and exhausted we went back to Hong Kong.